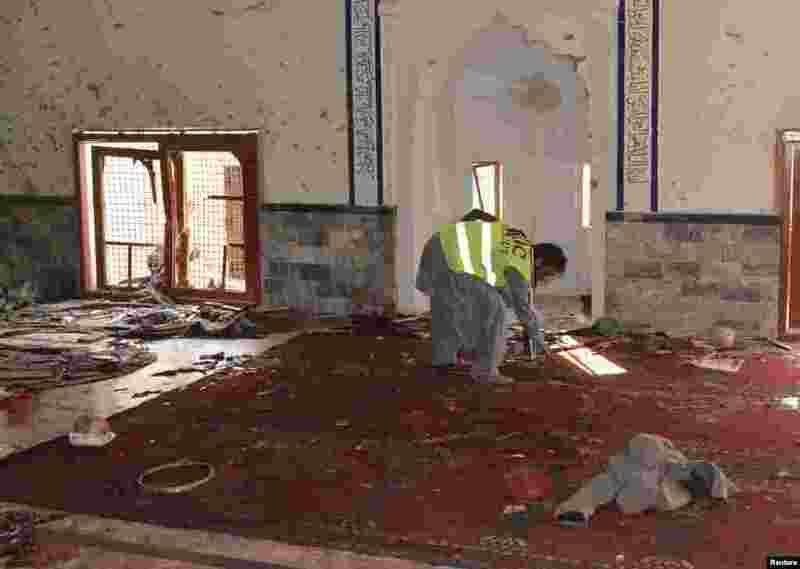 Pakistani authorities say at least 49 people were killed and nearly 50 others wounded in a powerful bomb blast at a minority Shi'ite mosque in Sindh province during Friday prayers. 1 A rescue worker surveys the scene outside a Shi'ite mosque after an explosion in Shikarpur, Sindh province, Pakistan, Jan. 30, 2015. 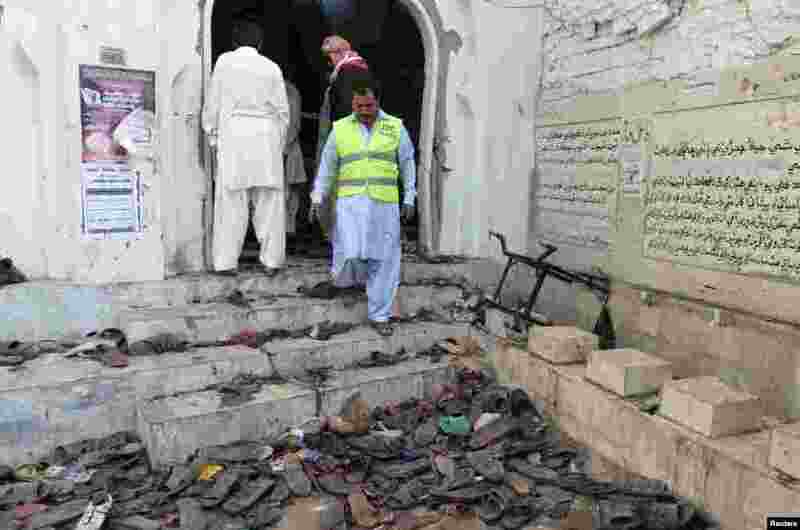 2 A rescue worker collects evidence after an explosion in a Shi'ite mosque in Shikarpur, located in Sindh province, Pakistan, Jan. 30, 2015. 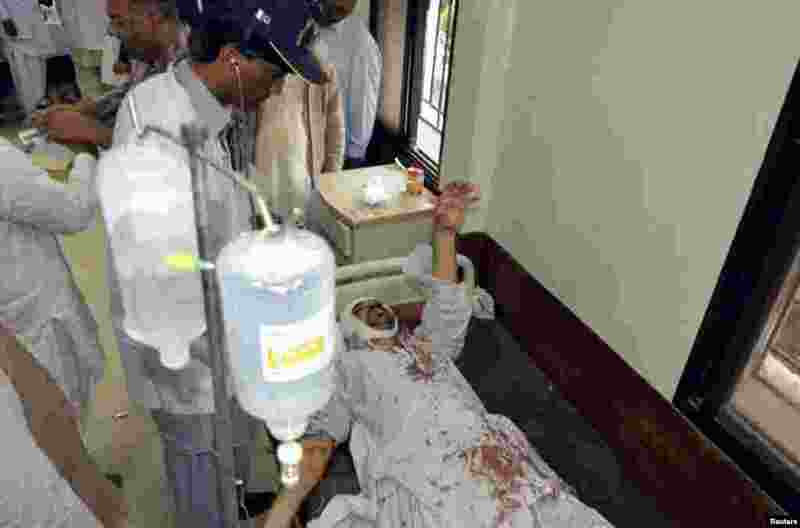 3 A man who was injured after an explosion in a Shi'ite mosque receives first aid at a hospital in Shikarpur, Sindh province, Pakistan, Jan. 30, 2015. 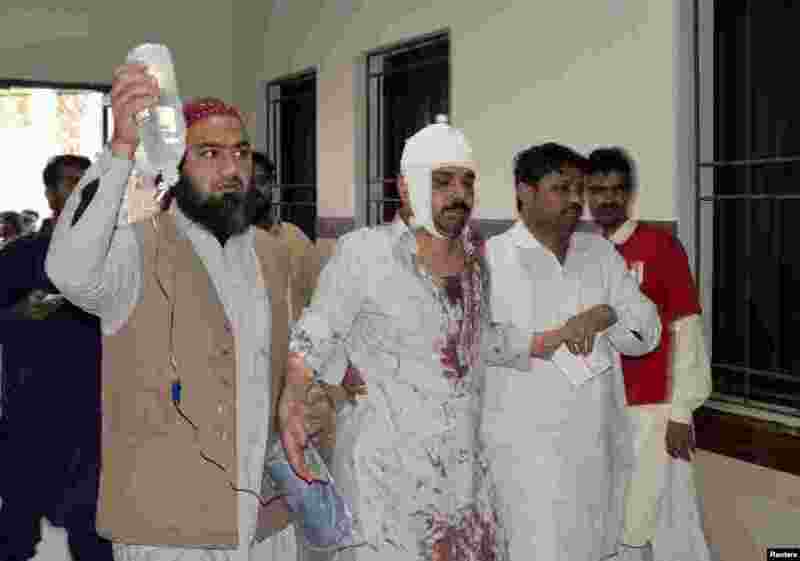 4 A man who was injured after an explosion in a Shi'ite mosque walks with relatives after receiving medical treatment at a hospital in Shikarpur, Sindh province, Pakistan, Jan. 30, 2015.